124. Fiddle drill. 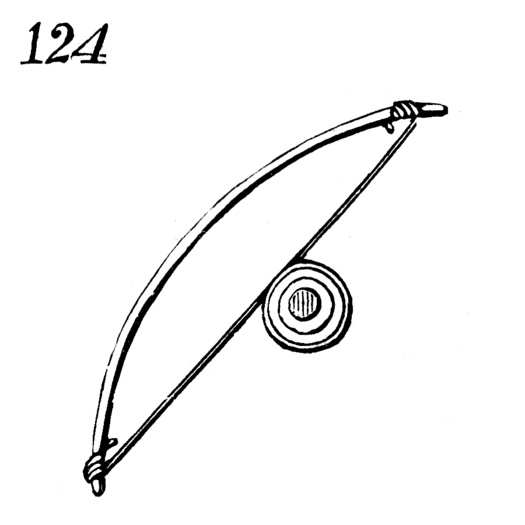 Reciprocating rectilinear motion of the bow, the string of which passes around the pulley on the spindle carrying the drill, producing alternating rotary motion of the drill.